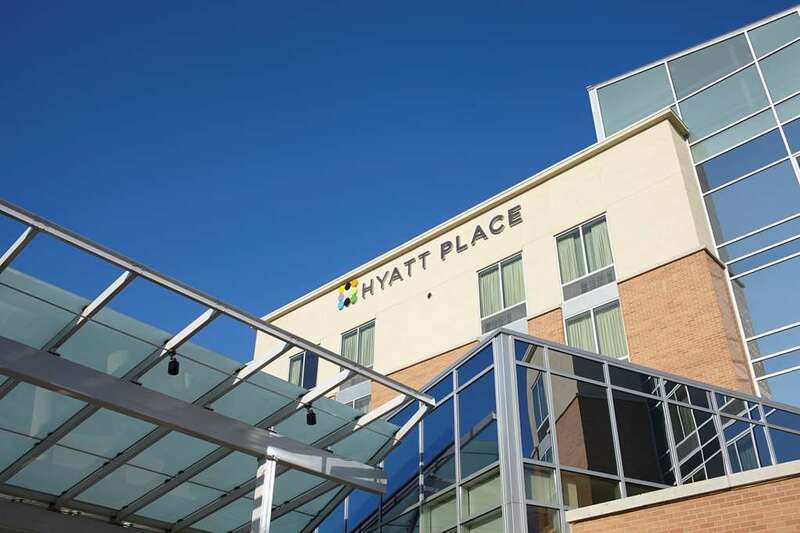 The Hyatt Place Bethlehem promises gracious service, amazing sleep experiences, downtown convenience within walking distance of the very best area restaurants and shopping. The lobby becomes your family room away from home with a beer and wine bar, numerous televisions and plenty of room to gather and connect either in person or via wireless internet. All the stars align to create an unforgettably comfortable, welcoming and fun hotel experience. We have six floors and 124 guest rooms and are perfect to host your meetings for 5 to 50 attendees. Minutes from the new Sands Casino. Pet Policy - dogs only. 1-6 nights, a 75 USD non-refundable fee; 7-30 nights, a 75 USD non-refundable plus a 100 USD cleaning fee will be administered inclusive of taxes. Guests staying 30+ nights should contact the hotel. Max 2 dogs per rm, weight limit is 50 lbs or less for 1 dog or max. 75 lbs for 2 dogs combined. Pet fee encompasses this and dogs exceeding are at the hotel's discretion. All dogs must be housebroken. Fees are in USD. Service animals always welcome. 19MAY19-20MAY19 Lehigh Univ Graduation - 2 nt stay required to reserve, must prepay full stay upon reservation. Cancel 60 days prior to arrival. Historic Downtown Bethlehem Main St.